闫茂仓, 王瑶华, 胡利华, 张炯明, 刘亚南, 唐明, 罗奎, 黄贤克, 周前进, 陈炯. 2019. YAN Mao-Cang, WANG Yao-Hua, HU Li-Hua, ZHANG Jiong-Ming, LIU Ya-Nan, TANG Ming, LUO Kui, HUANG Xian-Ke, ZHOU Qian-Jin, CHEN Jiong. 2019. Oceanologia et Limnologia Sinica, 50(2): 443-448. YAN Mao-Cang, WANG Yao-Hua, HU Li-Hua, ZHANG Jiong-Ming, LIU Ya-Nan, TANG Ming, LUO Kui, HUANG Xian-Ke, ZHOU Qian-Jin, CHEN Jiong. 2019. 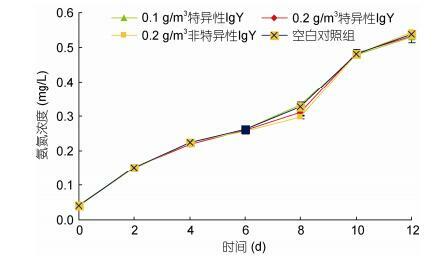 EFFECT OF SPECIFIC ANTI-VIBRIO PARAHAEMOLYTICUS IgY ON PASSIVE IMMUNOLOGY AND SURVIVAL RATE OF LITOPENAEUS VANNAMEI LARVAL[J]. Oceanologia et Limnologia Sinica, 50(2): 443-448. 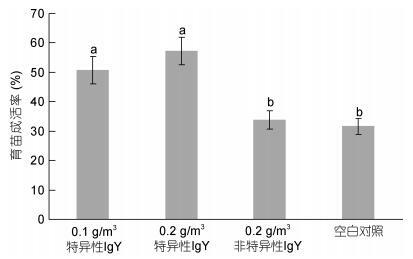 Abstract: We applied the specific egg yolk antibody of highly pathogenic Vibrio parahaemolyticus (AHPND-VpIgY) for seedling breeding of Litopenaeus vannamei. 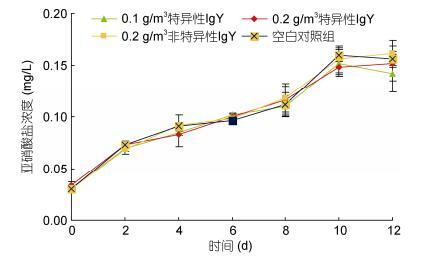 The protective effect with the antibody was evaluated by measuring water quality, total bacteria, total Vibrio count, relative protection rate, and seedling survival rate. 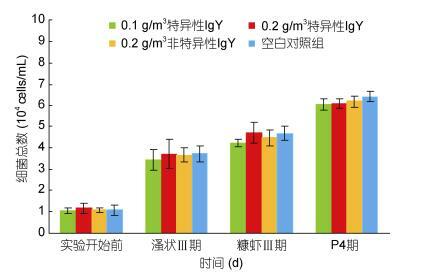 The results show that the relative protection rate of the 0.1g/m3 and 0.2g/m3 AHPND-VpIgY groups was 35.7% and 57.2%, respectively, which is higher than that of the control (no AHPND-VpIgY) (P < 0.05). 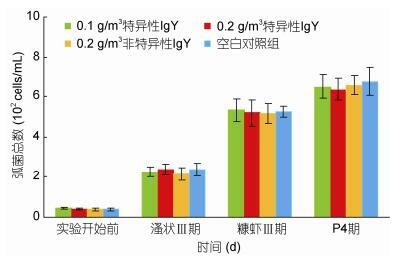 The larva survival rate of the 0.1g/m3 and 0.2g/m3 AHPND-VpIgY groups was 50.8% and 57.2%, which was 19.1% and 25.6% higher than that of the control group, respectively. 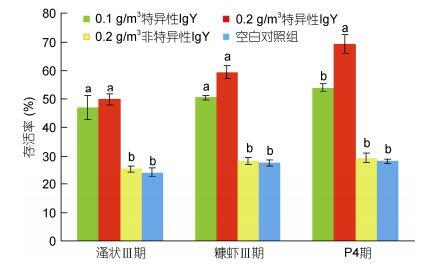 Meanwhile, no significant difference in ammonia nitrogen, nitrite, total bacteria, and total Vibrio count were found between the experiment groups and control group. 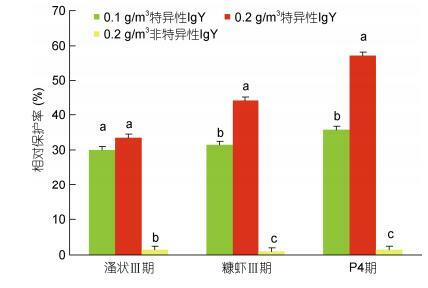 Therefore, application of AHPND-VpIgY could increase the survival rate of the larva, the relative protection rate, and the survival rate of seedling, and enhance the yield and quality of L. vannamei seedlings while the water quality remained unchanged.